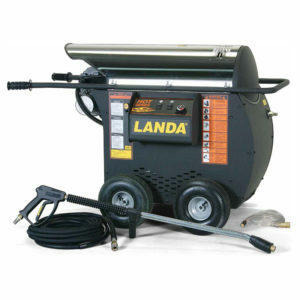 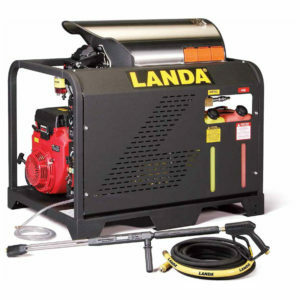 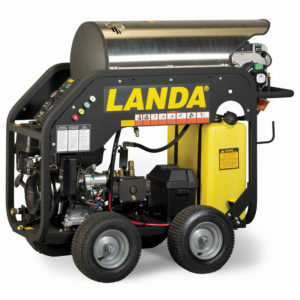 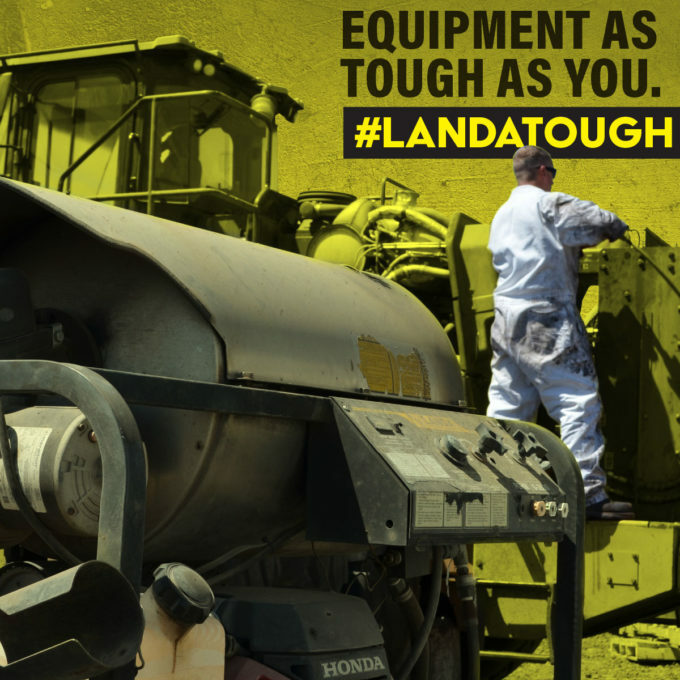 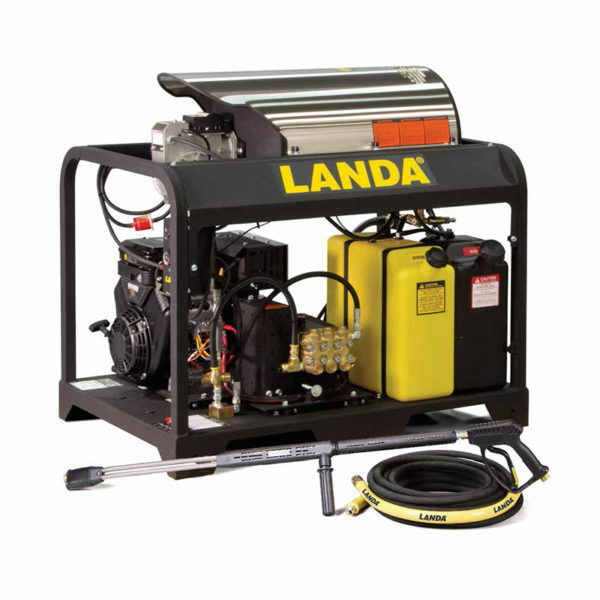 The PGDC has all the ruggedness of Landa Karcher Group’s famous line of skid-mounted hot water pressure washers but features a 12VDC burner system instead of a generator. 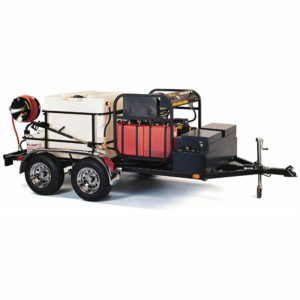 The PGDC is powered by reliable Honda or Vanguard engines, all with electric start. The PGDC has a top-of-the-line, oil-bath, tri-plunger Landa Karcher Group pump with 7-year warranty, a Schedule 80 heating coil made of 1/2-inch cold-rolled pipe covered by a stainless steel top wrap, and an extra-rugged steel frame protected by an epoxy powder coat finish.